Welcome, Introductions, Police Department Overview, Law Enforcement Technology Utilized by MHPD, Arkansas Law Enforcement Accreditation Program (ALEAP), School Resource Officer Program, K9 Program, Criminal Investigations, Patrol Operations, Special Response Team, Drug Recognition Experts, Community Policing, Mountain Home Citizens’ Police Academy Alumni Association, Final Q&A, Comments, and Graduation. Class schedule will be handed out the first night of class. The purpose of the Citizens’ Police Academy is to increase the participant’s knowledge of law enforcement, programs and operations utilized by the police department, and improve police-community relations. The class will highlight the daily operations of the department and is designed to give the class participants an overview of the responsibilities and challenges police officers face in delivering police services to our community. Graduates will experience a more interactive association with the police department, if they join the Mountain Home Citizens’ Police Academy Alumni Association after graduation. The alumni association is a major part of the department’s community policing efforts that are dedicated to improving the quality of life in our community. Class participants must be 18 years of age, free of criminal convictions, and complete an application. 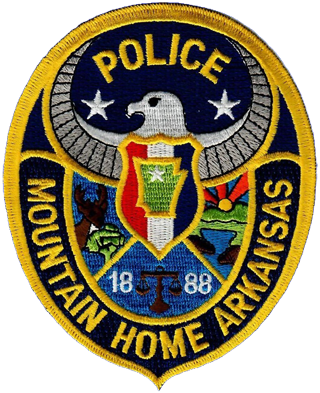 You may complete an application on-line at www.mtnhomepolice.com or by visiting the police department at 424 West 7th Street, Mountain Home, Arkansas. Attendance is free of charge. For additional information about the program, call the Mountain Home Police Department (870-425-6336). The class schedule is subject to change due to the demands and needs of the police department. Participants will be advised of any changes as soon as possible. A class coordinator, staffed by a current member of the Mountain Home Citizens’ Police Academy Alumni Association, will serve as administrative support for the class, help coordinate activities outside of the classroom and offer any other assistance as needed.